Professor John Pegg is an educationalist. His research interests focus on two main areas: (i) the development of learners’ understanding, and (ii) teacher professional growth. Professor Pegg holds a PhD in education from the University of New England. 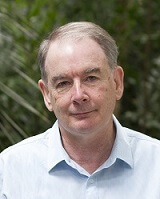 In 1996, he was made the foundation director of the Centre for Cognition Research in Learning and Teaching (CRiLT) at the University of New England.